Derek Attridge is Professor of English in the Department of English and Related Literature at the University of York. He has taught at the universities of Oxford, Strathclyde and Rutgers, and has held visiting positions in Italy, France and Australia, and fellowships in Italy, the UK, the US, and South Africa. 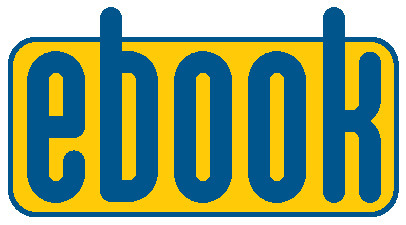 He is the author/ editor of over 20 books, and serves on eighteen editorial boards. David Jonathan Y. Bayot is Associate Professor of Literature at De La Salle University, Manila, Philippines, and general editor of the Critical Voices series. Francisco Roman Guevara (deceased) was Assistant Professorial Lecturer of Literature at De La Salle University. This volume of conversation not only provides a succinct philosophical biography that highlights the wide range of Attridge’s interests. It likewise foregrounds his energetic engagements with literary theory, poetics, and stylistics, as well as his reassessments of contemporary philosophy and literary ideas, specifically those pertaining to the work Jacques Derrida, James Joyce, and J. M. Coetzee. Readers will find in this book a wonderful balancing act as Attridge negotiates the dynamics between the orthodoxies of critical practice and the strategic interventions of deconstructive reading. This book, with an appendix of a chronological listing of Attridge’s publications, is an accessible and provocative introduction to the ideas of one of the most brilliant critical voices and generous presences in literary studies in the Anglophone world. 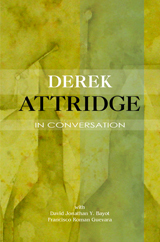 The conversation provides a succinct philosophical biography that highlights the wide range of Attridge's interest, foregrounds his energetic engagement with literary theory, poetics, and stylistics, and reveals his reassessments of contemporary philosophy and literary ideas, specifically those pertaining to the work of Jacques Derrida, James Joyce, and J. M. Coetzee. He balances the orthodoxies of critical practice with the strategic interventions of deconstructive reading.